Looking for compact, stylish and easy to carry furnitures for your home. Here is something for you brought to you by Amazon. Amazon is offering Cello Orchid Center Table worth Rs 824 at Rs 499 only in a lightning deal. 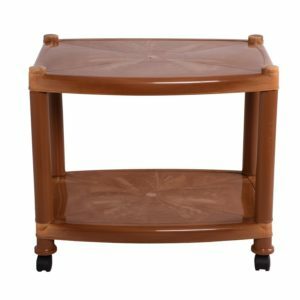 This sandalwood brown coloured center table is very handy to maintain and care. Lightning deal, buy now!! How to buy this Cello Orchid Center Table ?